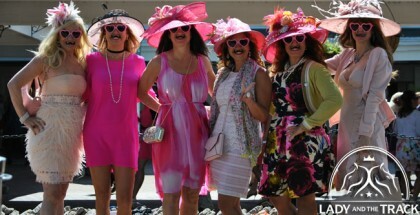 The 2013 Gotham Stakes takes place this Saturday March 2 in Queens, New York at Aqueduct Racetrack. The $400,000 1 1/16 mile dirt race is named after New York City’s nickname, The Gotham City. The three-year-old winner of the Gotham Stakes, which is part of the Kentucky Derby Championship Series, will be awarded 50 points towards their entry in the 2013 Kentucky Derby. The Gotham Stakes field is set with twelve contenders, three of them trained by Kiaran McLaughlin. 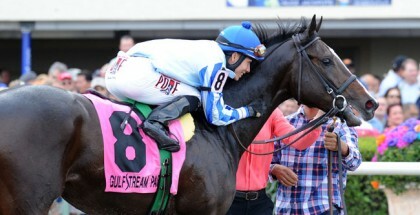 Odds for the 2013 Gotham Stakes were released this morning. Fun Facts about the Gotham Stakes: Secretariat won the Triple Crown after placing first in the Gotham Stakes in 1973. 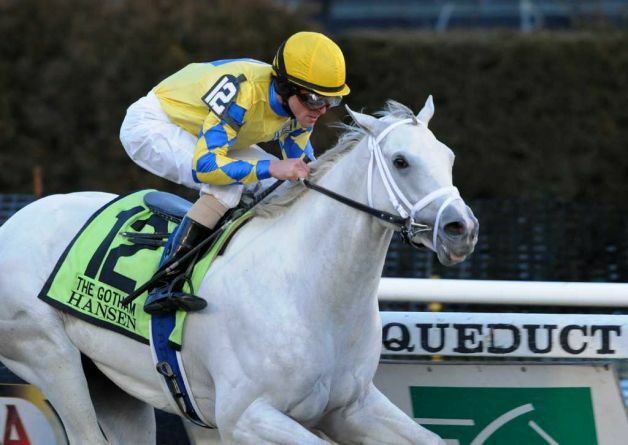 The “Great White Hope” Hansen won the 2012 Gotham Stakes. Jockey Ramon Dominguez was aboard Hansen for the win and also brought Stay Thirsty across the finish line first in 2011. Lady and The Track would like to wish Ramon Dominguez a speedy recovery. We would also like to wish all the contenders in the 2013 Gotham Stakes the best of luck! Good Luck! Safe Run! The 2013 Gotham Stakes is the 10th race of the day with a post time of 5:02 PM EST. 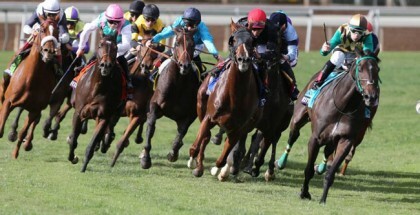 Ramon Dominguez led Hansen to victory during the 2012 Gotham Stakes and also placed first with Stay Thirsty in 2011. The 2013 Gotham Stakes takes place this Saturday, March 2.